I offer a wide assortment of video and audio services at very reasonable prices. I have over 40 years of radio & television broadcasting experience. For more information call or email me at 520-226-8832, email romeo.stpierre@gmail.com. Professionally produced videos for your business? Interested in a professionally produced video for your business? 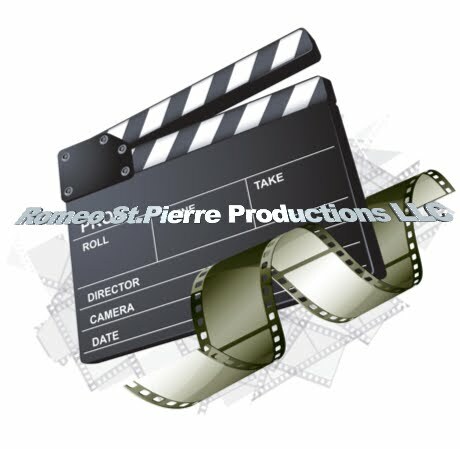 Well, Romeo St.Pierre Productions LLC is here to help. For those owners who are a little shy in front of the camera I can use your voice or a computer voice to produce your video for the very reasonable price of $39.95. All you need to do, is provide me with your information and any pictures you want included in your production. It's that simple. I can even make objects like an apple for example, a spokesperson too! Just email me at romeo.stpierre@gmail.com. This video is great to use on your Facebook page, website or even on broadcast television. Make A Family Memory That Will Last For Generations! Reasonable Rates! Family Holiday Classic - Grandma Stuffed The Turkey from Romeo St.Pierre on Vimeo. For those clients who are a little shy we take your photos and graphics and design a computer animation host as your spokesperson. We can use a female computer voice or male computer voice. We can also record your voice to be used with the computer animation. There is just about no limit as to what can be animated. Here are some examples. I offer a wide assortment of video and audio services. I have over 40 years of Radio & Television experience. If you need a News or Special event covered, a family history recorded, class reunion videotaped, weddings, testimonials, video transfers, pictures scanned to video, video slide shows, old 8mm, VHS, and Photos to video file format of your choosing. Video products for your web page, etc. I can do it all! I have very reasonable prices. Just send me an email or give me call. You can pay by credit card at my blog site. For more information call 520-226-8832, or email me.